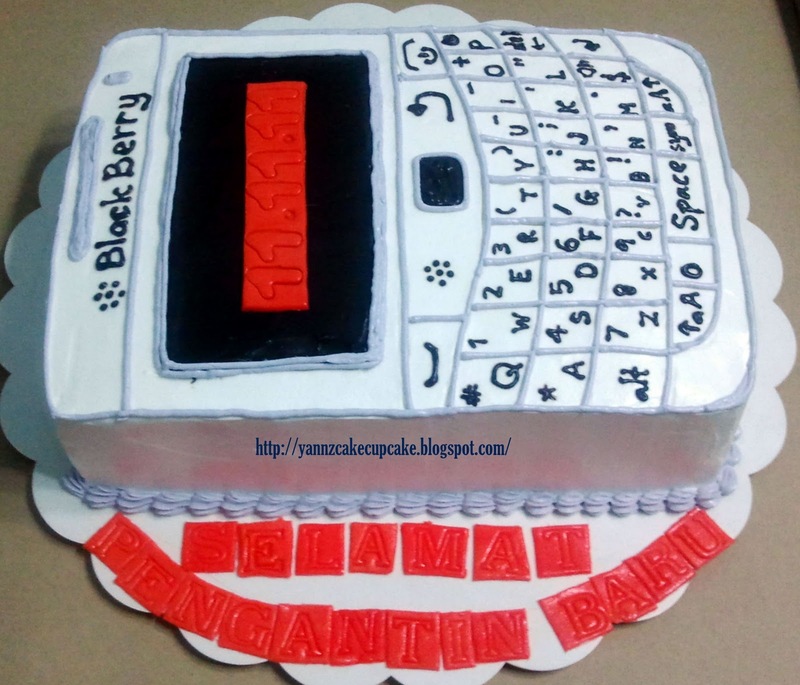 Order by Dilla, for her sister engagement. 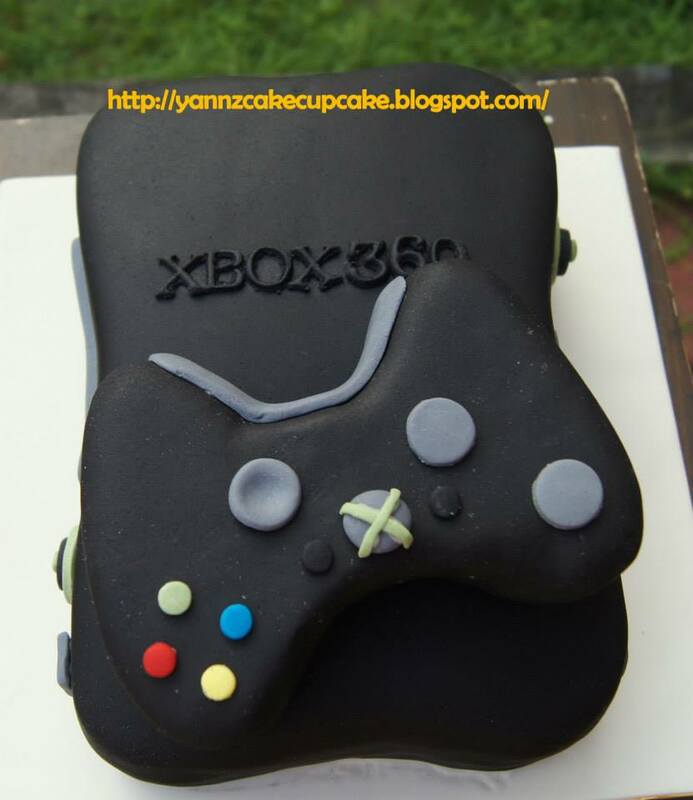 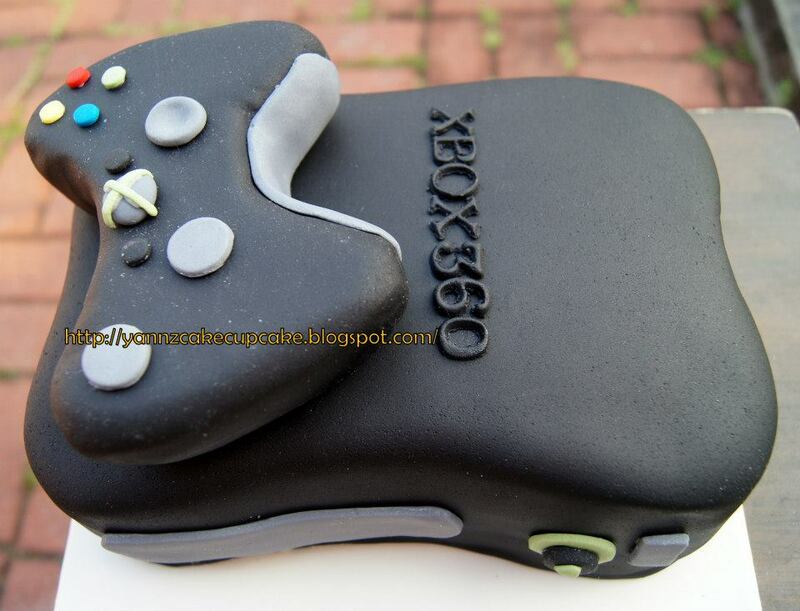 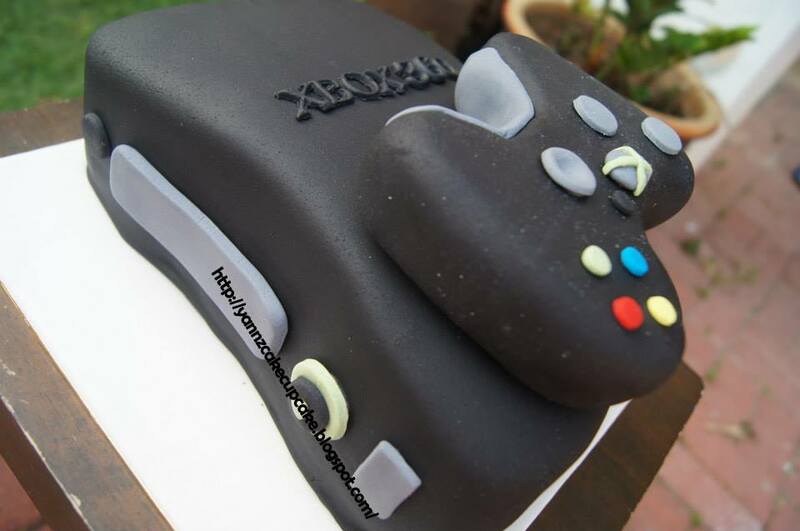 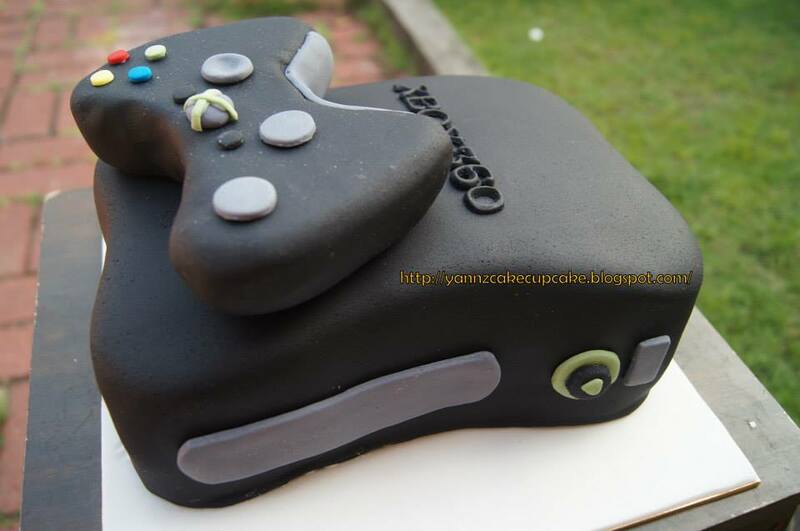 Xbox 360 theme; inside is choc moist cake. 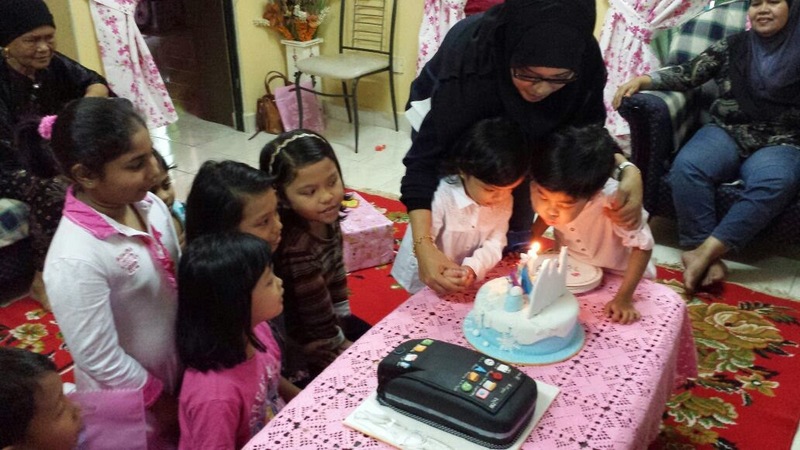 Happy to hear the cake is so pretty and her sister loved it. 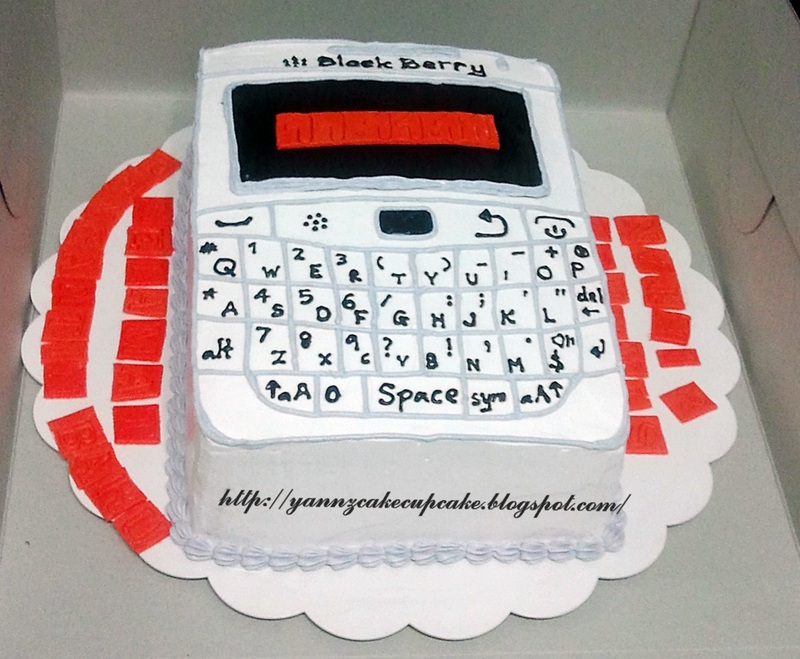 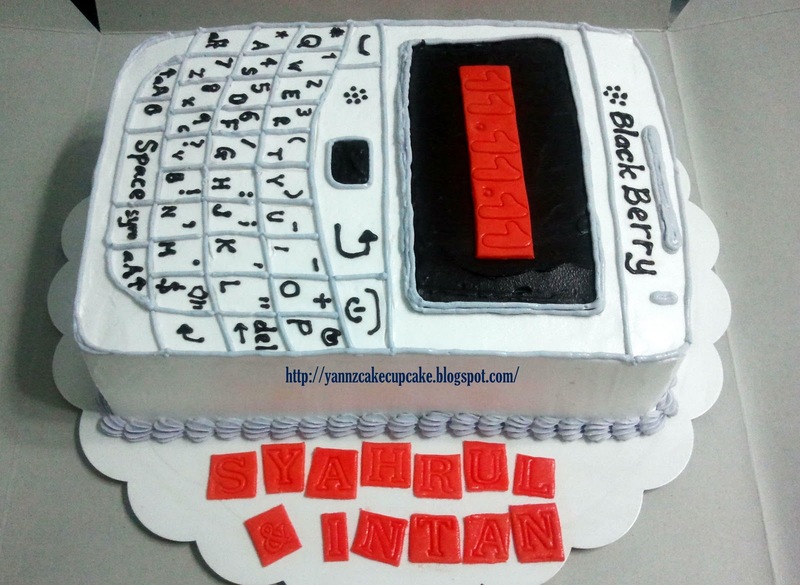 She order Red Velvet Cake in shape of BlackBerry Bold..
Intan send photo of her own BlackBerry as reference.. 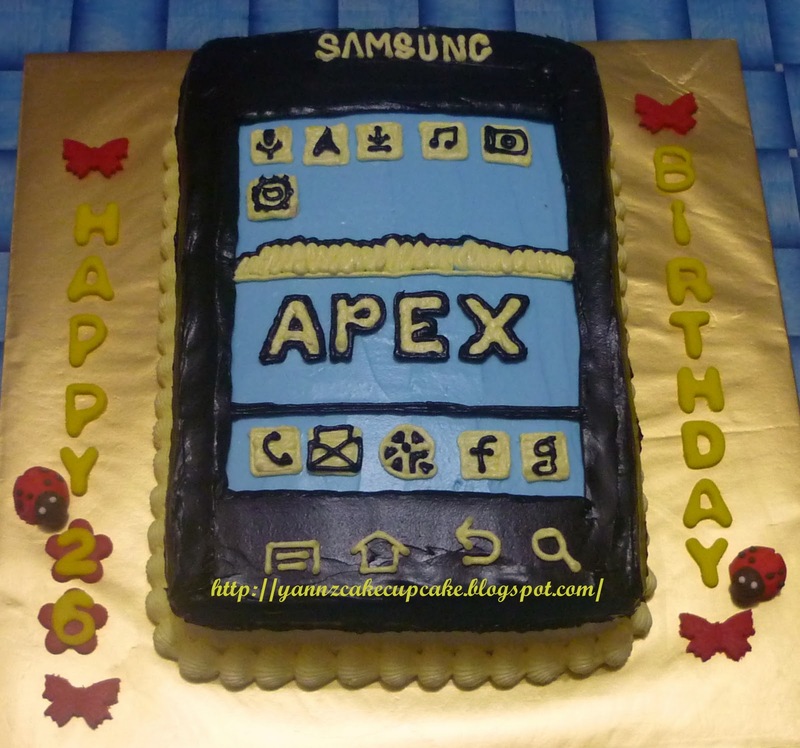 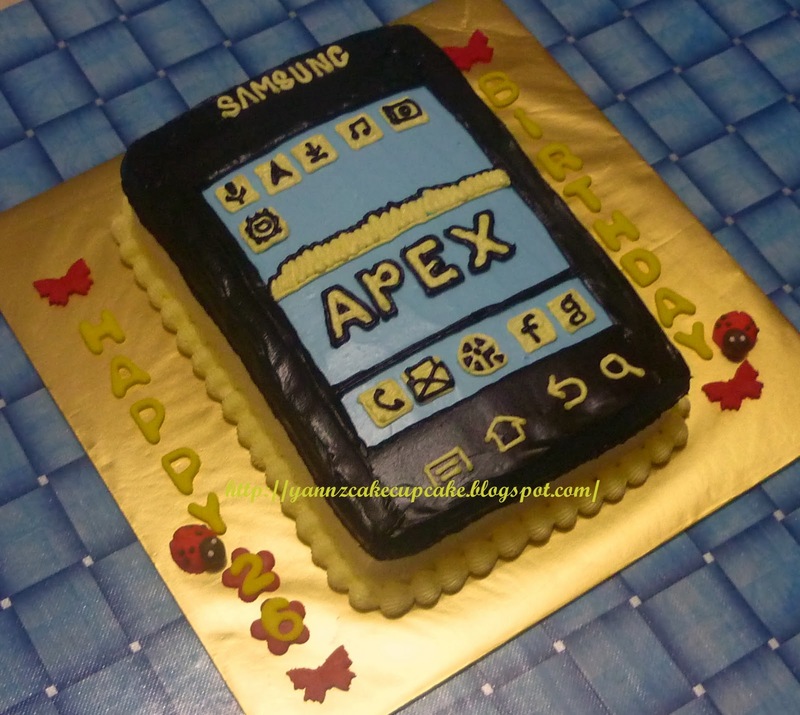 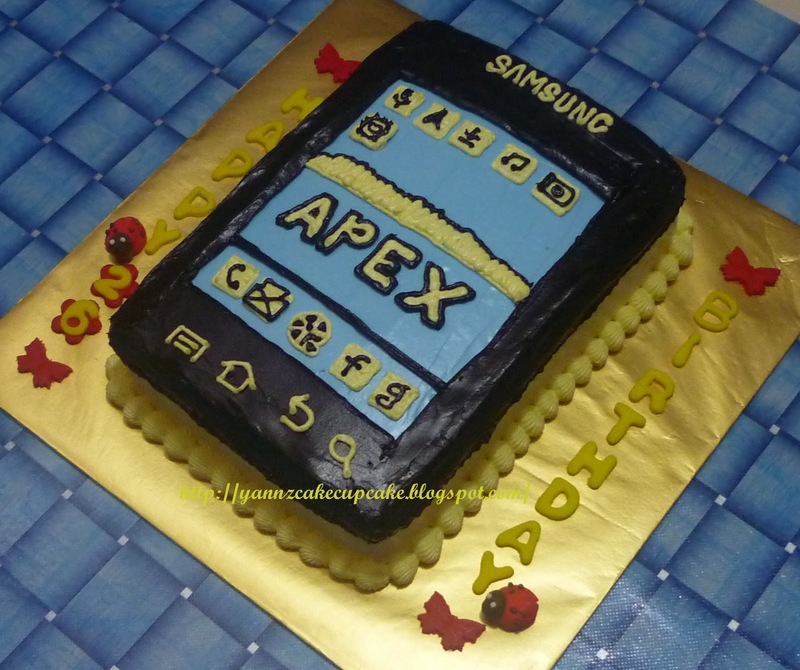 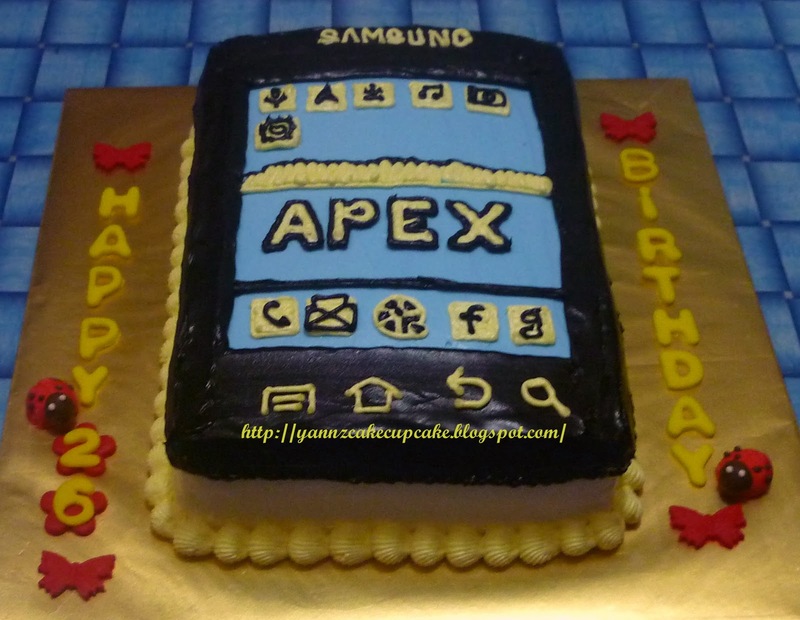 Using my husband galaxy tab as sample..alhamdulillah the cake turn out like what I have in mind. 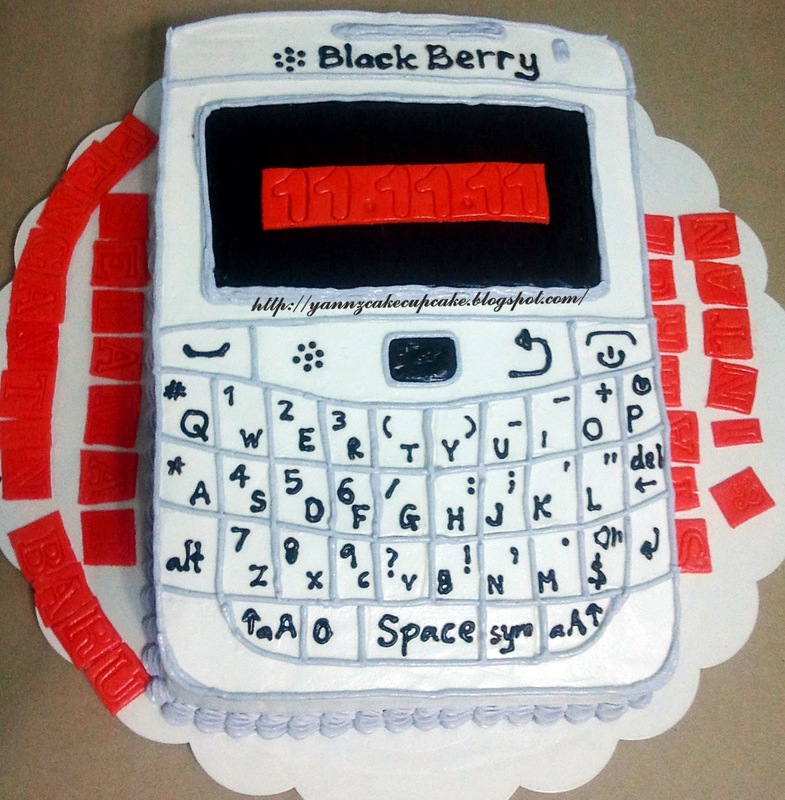 Cake is red velvet with cream cheese..but also combine with ganache for topper..